Today’s social and business merged world is all about making connections, collaborating, and getting things done faster. As competition becomes more agile, turnaround times more demanding, and the role of social more prominent, traditional processes for connecting in the workplace, such as email, have arguably become a detriment to productivity. In fact, according to a 2012 survey released by McKinsey Global Institute and International Data Corporation, email is the second-most time-consuming activity for workers, next to “role-specific tasks,” and takes up to 28% of workers’ time. Social Business Collaboration, also commonly referred to as social enterprise, addresses businesses’ mounting demands for meaningful connections between people and work teams and continues to quickly gain ground in organizations across the globe. 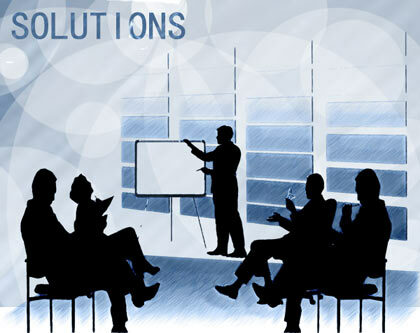 Depending on the solution, Social Business Collaboration can mean a host of benefits for organizations, including increased productivity, real-time interaction and innovation, improved file sharing and tracking, a more efficient approach to tasks such as document routing and workflows, and fortunately, the end of long email chains. But while many do not deny that Social Business Collaboration opens new doors, business leaders often still ask one lingering question: what does it mean for ROI? In their report The social economy: Unlocking value and productivity through social technologies, McKinsey Global Institute estimates between $900 billion to $1.3 trillion in annual business value can be unlocked through the use of social networking tools and technologies in four commercial sectors alone: consumer packaged goods, retail financial services, advanced manufacturing, and professional services. According to the report, when companies use social tools internally, the time employees spend searching for company information can be reduced by as much as 35%. Using McKinsey’s estimations, this equates to $325-$455 billion in measurable value as a direct result of time savings. According to a 2012 article released by Forbes, Lowe’s Home Improvement® realized $1million in additional revenue from a new way of selling paint that came from an employee’s idea that was shared and vetted through an internal social collaboration system. A recent enterprise social collaboration study released by Aberdeen Group, states that the “year-over-year business impact of enterprise social collaboration on business performance was remarkable.” In fact, the study found that for companies who have an enterprise social collaboration strategy in place, operational efficiencies increased by 131%. As the above examples demonstrate, while developing a quantitative story for the ROI of Social Business Collaboration solutions may not always be black-and-white, tangible numbers are not as indefinable as some business leaders might think. The lesson to be learned here is that if you take time to do research, strategize, and find the Social Business Collaboration tool that is the best fit for your organization, the benefits – and numbers – will follow. Larry Lombard is the Chief Financial Officer of Nuage, a leading provider of Social Business Collaboration solutions. By delivering secure, social business tools that directly impact workplace productivity, Nuage’s solutions go beyond simple file sharing and collaboration and empower companies and work teams to get things done faster. 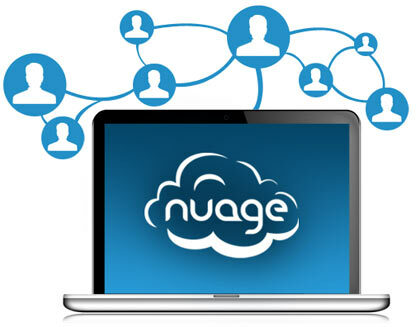 For more information on Nuage, please visit http://www.go-nuage.com.